Meet Basil Eleby, 39. 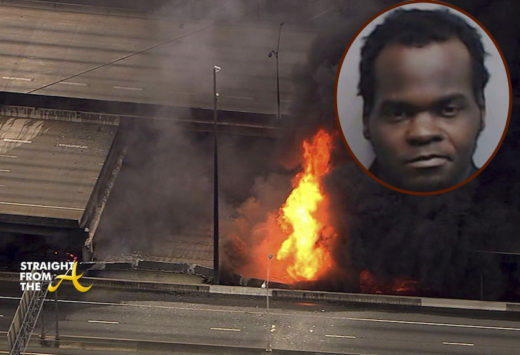 Elerby is the man accused of setting the fire that destroyed part of Interstate 85 last Thursday evening. News reports are saying that the homeless man and 2 other friends were spotted below the bridge on the day of the fire. According to court documents, Eleby was allegedly heard talking about ‘smoking crack’ cocaine just moments before it became engulfed with flames.